Follow Father Tim and Cynthia on their journey to research his Kavanagh ancestry in the Irish countryside in this novel in the beloved Mitford series from #1 New York Times bestselling author Jan Karon. Vacation—the very word has been foreign to Episcopal priest Tim Kavanagh. Now retired from tending his flock in the village of Mitford, he is making good on a promise to show his wife, Cynthia, the charming land of his Irish ancestors. But after arriving at a Lough Arrow fishing lodge in the midst of a torrential downpour, the charm disappears. They find their holiday upended by an intruder, a treasured painting is stolen from the lodge, and a family conflict dating back nearly a century turns even more bitter. As three generations struggle to find deliverance from the crucifying power of secrets, Tim and Cynthia stumble upon a faded journal that might just explain the crime—and offer a chance at redemption. 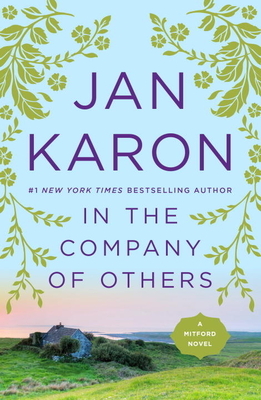 Jan Karon is the author of the bestselling series of nine Mitford novels featuring Father Timothy Kavanagh, an Episcopal priest, and the fictional village of Mitford. Set in the foothills of the Blue Ridge Mountains, Karon's Mitford books include At Home in Mitford; A Light in the Window; These High, Green Hills; Out to Canaan; A New Song; A Common Life: The Wedding Story; In This Mountain; Shepherd's Abiding; and Light from Heaven. The Father Tim Novels include "Home to Holly Springs" and "In the Company of Others," set in County Sligo, Ireland. There are over 40 million Mitford and Father Tim novels, childrens books, and CDs in print.